Paolo Giovanni Nutini is a well known pop-indie singer-songwriter from Paisley, Scotland. His father is of italian descent and his mother Glaswegian, although his father’s family have been in Scotland for four generations. His influences include David Bowie, Damien Rice, Oasis, The Beatles, U2, Pink Floyd and Fleetwood Mac. Just after he turned 18, Paolo made his first demo and he was signed to Atlantic Records. 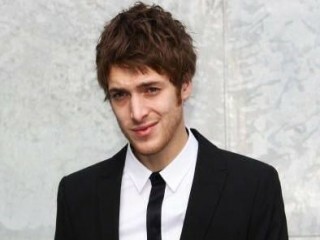 In May 2006, Nutini's first single These Streets was released as a free download, and he followed it up in July with his first proper single 'Last Request,' which made it into the top five. A few weeks later, the album These Streets hit shops and Paolo was immediately hailed as one of the biggest young hopes in British music. His humble charm and scruffy good looks earned him legions of fans, but the music press were quick to recognise his considerable talents as a songwriter genuinely in touch with his emotions (many of which were drawn from experiences with his girlfriend and an encounter with an older lady), and able to tell engaging, simple stories through song. Various festival appearances and a heavy period of gigging followed including support slots for The Rolling Stones, before the singles 'Jenny Don't Be Hasty' and 'Rewind' came out before the end of 2006. On New Year's Eve, Paolo performed in the Great Hall at Edinburgh Castle. Nutini managed to keep up the momentum throughout 2007, having catapulted into the national consciousness very rapidly - he was in the lucky position of having fans from the worlds of both rock and pop music. Paolo received criticism from some Celtic football fans after he came on stage in April allegedly drunk to celebrate the team's title win, though he has always denied this rumour. With the summer came a set on the Pyramid Stage at Glastonbury, a performance at Wembley Stadium as part of Live Earth, and a slot at T in the Park. But surely the highlight of 2007 was the Ahmet Ertegun Tribute Concert at London's O2 Arena, which was to honour the life of the man who had first signed Paolo. It also featured the first full live concert performance from Led Zeppelin in 27 years. After the honest emotional reflections on youth on which his first album was based, record number two was always going to be a challenge for Paolo Nutini, but at he put together another fantastically successful collection of songs. The self-produced Sunny Side Up was released on June 1 2009. After a world tour with the album, Paolo went on a major world tour in 2010, including a stop at the V Festival in August – and his touring continued into 2011, including performances at the Benicassim, Latitude and Glastonbury festivals.